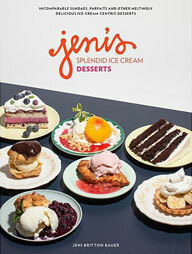 Every month PBS Food highlights a handful of cookbooks that will be released during the month. This month’s batch looked too good to not have them grace our bookshelves. 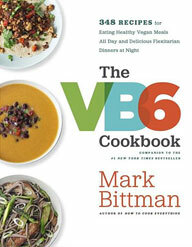 Following up on his bestselling diet plan, VB6, the incomparable Mark Bittman delivers a full cookbook of recipes designed to help you eat vegan every day before 6:00 p.m.–and deliciously all of the time. In VB6, bestselling author and New York Times columnist Mark Bittman created an easy-to-follow diet plan for vegan meals for breakfast and lunch, and healthy, vegetable-forward meals for every day. 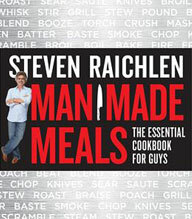 Steven Raichlen really knows the pleasure men get from cooking, the joy they take in having the skills, the need to show off a little bit. His Barbecue! Bible books have over 4.7 million copies in print–and now he leads his readers from the grill into the kitchen. Like a Joy of Cooking for guys, Man Made Meals is everything a man needs to achieve confidence and competence in the kitchen. Debi Mazar and Gabriele Corcos are ambassadors of contemporary Tuscan cooking. 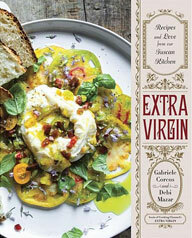 In Extra Virgin, food, family, and style come together in a celebration of the pleasures of the rustic Italian table with 120 recipes for simple yet exquisite meals that are accessible, full of fresh flavor, and easy to prepare. Gabriele is a traditional Italian with a big heart, and Debi is an outgoing, brash New York City girl.